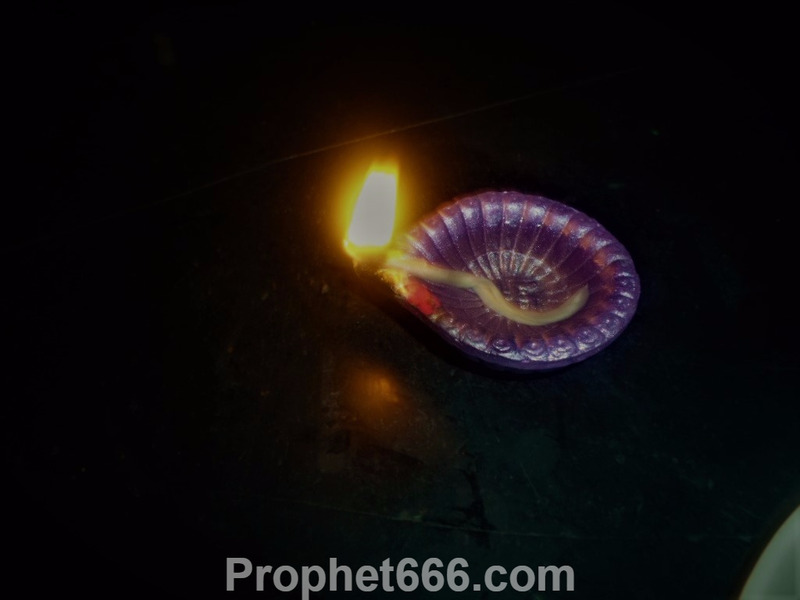 This is magical Tantric experiment, which is said to enable the practitioner to light a cotton wick in a Diya or Oil Lamp filled with water. This magical experiment called as the Pani Me Diya Ya Aag Lagana has its origins in the middle ages. The Tantric experiment was most probably used to impress and fool innocent persons about the magical and paranormal powers possessed by a Sadhu or God-man. 1] The practitioner has to prepare cotton wicks and then immerse them in the milk of a deer. 2] Then, he has to remove the cotton wicks and keep them for drying in a shaded place. 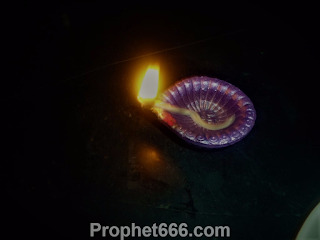 3] When, the wicks dry up completely, they can be put inside oil lamps or clay Diyas filled with water and lit to astonish everyone about the supernatural powers possessed by the practitioner. By writing about this Tantric experiment, I do not mean to say that all those persons who performed this experiment in the past were mere magicians and not possessed of occult powers. There is the most famous example of Sai Baba of Shirdi, who lit Diyas in water when he was denied of oil by the merchants of Shirdi. Sai was was indeed possessed with divine powers and there was no need for him to impress people. Kapur[Camphor] is rubbed in Navsadar or Navsagar water [aluminum chloride] and the residue is applied on the hands. Holding burning coal embers in the hand will not harm the practitioner and will impress everyone that he is possessed with voodoo powers. नौसादर अरू लाय कपूर,पीसे पानी मे भरपूर . हाथन ऊपर लेप लगाय ,छाया मे फिर तिन्हे सुखाय . इंद्रजाल के इन टोटकों की अपेक्षा नही रखते .आपका प्रयास ग्यानवर्धन की दृष्टि से स्तुत्य है ,परंतु आज जब हर परिवार किसी न किसी प्रकार के कष्ट,दुख,चिंता मे निमग्न है ,तब वे आपसे षटकर्मो-शांति,वश्य,स्तंभन,बैर,उच्चाटन,मारण -से संबंधित तंत्र,मंत्र,यंत्र,टोटकों की अधिक अपेक्षा रखते हैं .कृपया इसे अन्यथा न लें .